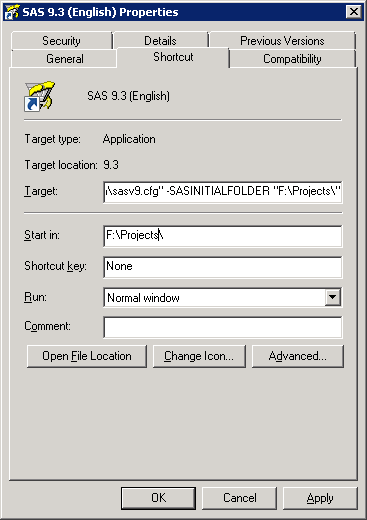 It is possible to set the start folder for SAS in different ways. First of all you can do it in the shortcut to SAS in your operating system. This is done by setting the -SASINITIALFOLDER as shown below. This entry was posted in SAS and tagged folder, open programs, SAS, SASINITIALFOLDER, Start up folder by Root. Bookmark the permalink.